This morning I answered an email from a reader who had a question about ytCropper. The link ytCropper link for her cropped video wasn't working in Google Slides. My solution was to not use ytCropper and instead just use the built-in formatting tools in Google Slides. The video formatting tools in Google Slides includes the option to specify specific start and end times for the videos that you include in your slides. 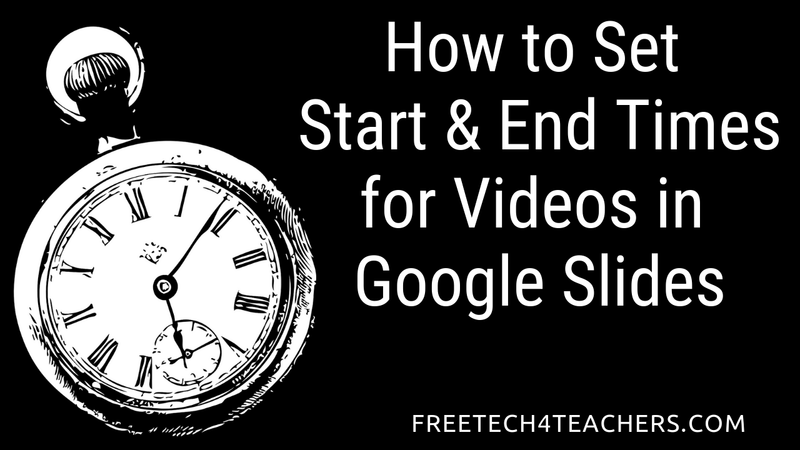 Watch my video to see how to set start and end times for videos in Google Slides.